With so many types of headphones on the market today, it is hard to know which ones are the best. Each brand and style seems to have its own unique sound and it can be difficult to decide which would be the best option for you. If you are looking to find the best bass headphones, this article is for you. One great thing about bass headphones is that you don’t always have to spend an exorbitant amount of money on them. 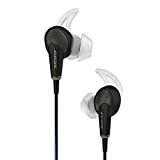 You can find headphones under $200 that work great and provide excellent sound that you are looking for. Unlike cheap $10 headphones you can buy at a convenience store, there are many options that cost a bit more but provide much better sound. If you’re looking to expand your headphone collection or upgrade your studio headphones, continue reading. As with just about everything in life, you have to know what you are looking for before you start looking. 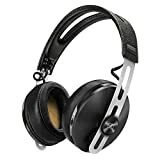 Things to consider when choosing the best bass headphones are price, style, weight, comfort level, and sound quality. How thick and what style do you want the headphone cord to be? Instead of a standard corded headset, are you looking for the best bass in-ear headphones? There are countless options for you to choose from and they all have their pros and cons. Do you want wireless or Bluetooth capabilities? An article from The Verge recently noted that wireless headphones are “improving faster than anything else in tech,” so are you looking to invest in some of those? Determining the connectivity of your choice is critical. You do “get what you pay for,” but when it comes to bass headphones, this doesn’t necessarily mean you have to spend thousands. There are even sets that cost under $100 but provide exponentially better sound quality than more expensive pairs. Bass headphones are unique because they have a lot of, well, bass. Even if the pair of bass headphones you choose has excellent bass, you will also want to make sure it also has the proper amounts of mids and trebles. If mids or trebs aren’t also high-quality, it can ruin your overall experience. Bass headphones can be very loud, so if you are looking for headphones that outsiders can’t hear, you should consider finding closed headphones. Closed back headphones are great if you are the type who likes to listen to great bass-heavy music while you’re in public. Quality pairs won’t leak sound and disturb other people around you. As you can probably guess, open back headphones do leak sound and may not be the best for recording in the studio but they do a great job of enhancing the listening experience. Semi-open headphones are also available, which typically give off a more realistic sound with little distortion and great low-frequency responses. If you’re looking to avoid talking to your coworkers, a Harvard study says noise-cancelling headphones might be a really good idea for you if you’re trying to be more productive. One complaint often seen with headphones is the lack of comfort in some models. Many people, especially musicians working in their studios, have their headphones on several hours a day. You’ll want to find headphones that are comfortable and don’t indent your skin or irritate your head. Weight is also a factor to consider when choosing a pair of bass headphones. Heavy headphones can become annoying after long, so most users choose lighter headphones. Also, beware of headphones that collect sweat, as this can be very uncomfortable. Below is a list of some of the best bass headphones to choose from. 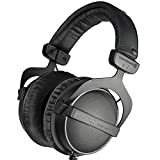 Priced at about $150 depending on the color you want, the Audio-Technica ATH-M50x Professional Studio Monitor Headphones are critically acclaimed, and for good reason. The 45mm large-aperture drivers give off great bass quality and a circumaural design that happens to be great for on-the-go listening. As we’ve discussed, comfort is crucial, and these come with high-grade earpads to make sure they feel good. These work well regardless of what you plug them into and they also come with durable cords made of quality materials. Overall, this set of bass headphones will work for any use whether it be DJ-ing or simply listening to music on the train. The Beyerdynamic DT 770 Pro headphones come in on our list at some of the best bass headphones under $200. 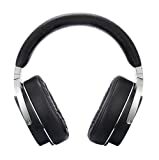 Priced at approximately $180, these are excellent headphones to use in your studio. They work well with laptops and desktops alike. This set is handmade in Germany and the sound quality is impeccable because you are able to hear even minor sound details with them. The closed-back design keeps sound in and you really can’t go wrong with an impedance of 80 Ohm and frequency of 5 Hz – 35,000 Hz. The velour earpads are a nice touch as well because they prevent sweat from gathering and making you uncomfortable. The pad on the headband is also detachable so you can add or remove padding if necessary. Equipped with Bluetooth aptX technology, the Marshall Mid ANC headphones have 40-mm drivers that ensure you are getting great sound quality. These are wireless but there is also a 3.5 mm socket should you choose to share your music with a friend as well. These are great if you’re on-the-go, as they are one of the more compact bass headphones and they are also noise-cancelling. The comfortable headband has 3D hinges so that you can adjust them the way you need to. One of the best features of these headphones is that the Bluetooth aptX technology allows you to hook your phone up to them and answer the calls wirelessly. You can then speak using the built-in microphones or make voice memos to yourself. Available in black, ivory, or the “Pink Floyd” multi-colored edition, the Sennheiser HD1 headphones are some of the best bass wireless headphones on the market. Despite being one of the more expensive pairs out there, priced at about $350 on a sale, these come with top-notch Active Noise Cancellation. Featuring a frequency of 16 Hz – 22,000 Hz and a sound pressure level of 113 dB, these around-ear headphones can be connected to two different devices at the same time and switched over easily. Plus, the sound is great whether you are using them wired or wirelessly. Even though it might take some time to adjust the headphones to fit your ears properly, once you figure them out, they can be worn for hours at a time with little discomfort. There is no “hiss” or white noise that you might find in other headphones, and Bluetooth capability is an added bonus. Of course, Bose is one of the biggest names in the headphones industry, so it comes as no surprise that the Bose QuietComfort 35 (Series II) makes our list. These headphones are available in black or a sleek silver and pack a battery life of up to 20 hours. These noise-cancelling headphones come with the ability to share music and they are also compatible with Alexa, making them stand out from many competitors. They are also lightweight compared to other models and despite the tendency to get hot at times, they are very comfortable. These headphones are equipped with a great microphone and they are extremely easy to pair with other devices. The cost is a bit steep, coming in at around $350, but if that is a fair price point for you and you’re looking for a great hands-free set of headphones, these might meet your needs. 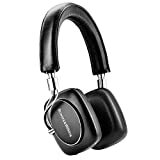 Bowers & Wilkins decided to get in the running for the best bass headphones as well with their P5 Series 2 headphones. Despite not being wireless, they offer an excellent balance of sound that is great whether you are in the studio or simply listening to music in your room. This on-ear set of headphones is super compatible with iPhones and even features a microphone cable that has been approved by Apple. The soft ear pads are also attached by magnets, making them detachable in case you need to replace them. These headphones are great if you are looking for a pair that will give you a smooth sound as opposed to really heavy bass that you would get with, say, Beats by Dre. Even though this set has a great bass, it is not overpowering and the sounds are smooth. One of the more expensive sets of headphones on the market is the OPPO PM-3 headphones. These are pricey but allow users to hear every single instrument and voice in whatever they are listening to. There are no echos, white noise, or any other unwanted sounds so you are always getting the crispest sound possible. Users report not needing an amplifier for these, but they still work well if you do use one. They are made with strong materials that last, so you could use these for several hours a day and they will still look sharp. The bass on these is excellent but it is not overbearing, meaning these probably aren’t the best for the “bass heads.” Also, it is rare that customer service gets a shout-out, but the customer service for these is impeccable and willing to send replacements for faulty parts. 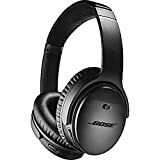 Coming in next on our list are the Bose QuietComfort 20 headphones. Regardless if you have an Apple or an Android device, Bose has made a model that suits each platform. These headphones aren’t your typical in-ear headphones that you have to position correctly in your ear or readjust constantly. Instead, these rest perfectly over your ear canal and don’t require continuous adjustments. This is also useful if you are the type who listens to music or audiobooks before going to sleep and don’t want to have a large headset on. These headphones are noise-cancelling but they also have a feature in which users can switch them to “Aware” mode, meaning they can still be listening to their music but also hear some outside noise if necessary. On the contrary, with the single flip of a switch, users can go from hearing outside noise to being in their own world. The Sony H900N noise-cancelling headphones surely help Sony live up to its name as a headphone giant. 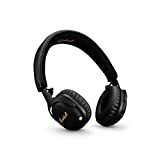 Offered in several different colors including black, red, and blue, these are also one of the more travel-friendly sets of headphones, as they are lighter than competitors and feature an easily-foldable design. A unique feature of this set is the touch sensor panel that you can use to control them. Additionally, they can easily be switched from noise-cancelling to “ambient sound mode” if you need to hear some outside sounds. Perhaps one of the best features, though, is the “quick attention” mode that you can activate to reduce the volume immediately without taking the headphones off. These will arrive with everything users need including a carrying case, cables, warranty information, and an instruction manual. Last but certainly not least are the Beats Studio3 headphones. These over-ear headphones are one of the most attractive sets from the outside, as you would probably expect from Beats. Weighing in at a light 7.6 ounces, these won’t weigh your head down at all. A notable upside to this set of headphones is that vocals seem to be excellent compared to competitors. EDM music also sounds superior to other brands, and it is super easy to pair these with other devices. The price deters people from purchasing; however, we can tell you they are well worth the price. If you’re the type who has been disappointed with Beats products in the past, this set of headphones might change your perspective. The sound is great and the Bluetooth range is stellar so you can enjoy your music all throughout the house or studio. Just a decade ago, noise-cancelling headphones and wireless headphones were the rage, but now there are many different types that may suit your needs better. Choosing the best bass headphones doesn’t need to be difficult once you know what your needs are and have your budget set out.